Thank you to everyone who entered quilts into the 44th Annual Quilt Show! We had an above average number of entries this year. The judges had a difficult time deciding which quilts to accept for the exhibition, and encourage everyone whose quilt was not accepted to keep quilting and try again next year. Thank you again! We love seeing all your hard work. 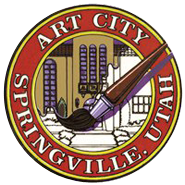 Quilts must be brought to the Springville Museum of Art on Friday, July 21, 2017 between 10am and 4pm or Saturday, July 22, 2017, between 10am and 4pm. There is a $15.00 non-refundable entry fee per quilt. Quilts must be submitted in disposable plastic bags. Pillowcases/individual carrying cases are discouraged. All paperwork must be filled out online 24 hours before quilts are brought to the Museum. Online entry forms may be accessed at www.smofa.org starting on June 26, 2017. A brief history/statement may be submitted with each quilt. Please limit this history to 100 words or less. This history should be included with the online entry form. If you are having trouble with the online entry process, please call the Museum at 801-491-5702. A list of accepted quilts will be posted on www.smofa.org on Thursday July 27, 2017. Quilters will not receive notification phone calls; they may call the Museum at 801-489-2727 on July 27, 2017 if they are unable to access the website. Bev was born in Buffalo, New York and raised in Ohio. After she married her collage sweetheart, she moved to Chicago and then to New England, where they spent most of their time. In 2001, they moved to Ogden Utah to spend time with her first four granddaughters. Bev learned to sew from her Aunt, who taught her to sew on an old treadle machine when she was barely tall enough to reach the treadle and still see the needle. Since then, she’s never looked back. In the early 1990’s Bev saw a quilting show on PBS and thought to herself “I can do that!” and she did. The first Quilt Guild she joined in Massachusetts was an active group and she learned a lot, including assisting one of our members who was working toward becoming a Nationally Certified Judge. After she moved to Utah, Bev discovered that the “active” quilt guild in MA was very different from the quilt guilds in Utah! Since 2001, she has taught several classes at a local quilt shop, her local guilds and at her former guild in Massachusetts. She is a certified Utah judge and has served on the Utah Quilt Board and the QuiltFest Board. She has had the privilege of judging at the Snake River Valley Show, The Springville Quilt Show, and the Challenge Fabric Show at the Utah State Fair. 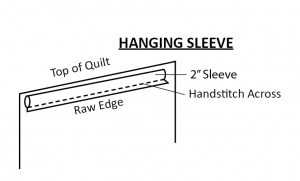 It would be hard to say what her favorite quilting methods, since she loves most of the different techniques, but she is particularly drawn to piecing, applique, modern, art and non-traditional methods. Barbara Walsh has been quilting for 40+ years and helped teach Utah Quilt Guild’s Judge’s Certifications program. She has been fortunate to have won many awards. She has previously judged at Utah Quilt Guild’s Quilt Festival, Quilting in the Tetons, Portneuf Valley Quilt Guild, Steel Days and the Springville Museum of Art. 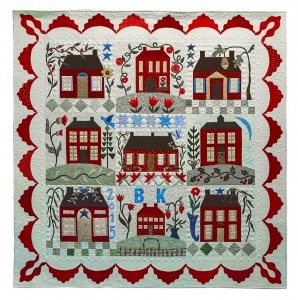 She enjoys many aspects of quilt making, but especially precision piecing, wool applique and machine embroidery. Professionally, Barbara is a retired teacher, having taught for 32 years. During her last 20 years, she taught ninth graders to write research papers. 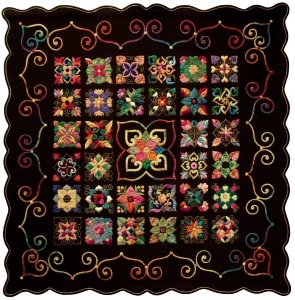 She has frequently taught at Quilt Festival often in the area of organizing your space and piecing. She is a native of Buffalo, New York. She came to Utah in 1973 to pursue graduate studies. Barbara has been married to Dr. Bob Walsh for 41 years. He is a professor at Utah Valley University, and they have one son, Ryan who makes his home in Ft. Collins, Colorado. Gaye was born and raised in the San Francisco East Bay. Her mother taught her to knit and crochet before she started kindergarten and she learned to sew in the Camp Fire Girls program. She didn’t know anyone who quilted or what it even was. In 1969, she married her husband and they have 2 children. As the kids got older, Gaye was given the opportunity to work for a small airline, which stimulated a travel bug, and over the years, she has worked for multiple airlines and travel agencies and has been able to see some of the world. After several years of illness, her husband retired and they moved to a 130 year old house in the Avenues in Salt Lake City to be near their children. In 2007, with so many major life changes, Gaye took up quilting to combat depression, and the adventure began. 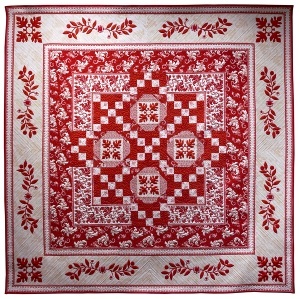 Being so new to quilting, Gaye didn’t know what a fat quarter was, but she soon began to learn it all! Her first quilt was an applique followed by a pieced quilt in which no seams matched and most points were cut off, but it was a start nonetheless. Gay will never stop taking classes and learning about the newest techniques. She has won many awards, including 1st place in Novelty Custom Quilting at HMQS and Best of Show at Utah Quilt Fest. 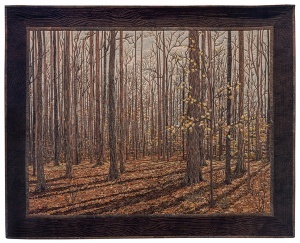 She work has also been shown at the Houston International Quilt Show, Road to California, Pacific International, Machine Quilt Expo in New Hampshire, the Springville Museum of Art and other places. She has volunteered for years to assist the judging at Home Machine Quilt Show, where she was able to learn from National Judges. She is a Utah Certified Judge and she has judged the Riley Blake, Quilts of Valor, and other competitions. Gay loves quilting and the joy it has brought to her life. She smiles knowing all of her family members sleep under quilts she’s made.